Hertha Berlin will be looking for their first points of 2017 as they welcome 16th-placed FC Ingolstadt 04 to the Olympiastadion on Saturday (kick-off 15:30CET/14:30GMT). A run of four defeats in their last five Bundesliga games has seen Hertha slip to sixth in the table, 15 points behind leaders FC Bayern München. Yet even if any title hopes may have faded, the Old Lady are still very much in the thick of the battle for European qualification, just two points behind third-placed Eintracht Frankfurt. 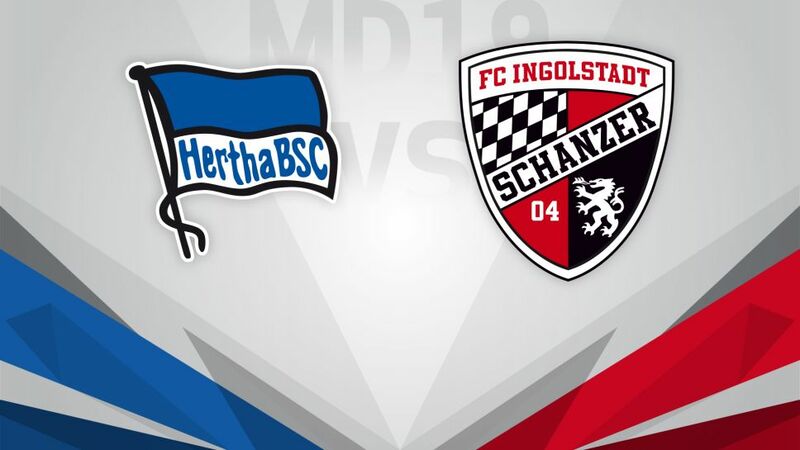 A return to winning ways against Ingolstadt – who they beat comfortably in the reverse fixture – would boost Hertha's chances of improving on last season's seventh-placed finish. Three of Ingolstadt's four wins this season have come in their last five outings. After stunning leaders RB Leipzig and Bayer 04 Leverkusen, Maik Walpurgis's side won a vital six-pointer with Hamburger SV last time out. That saw them move up into the relegation playoff place, but they are by no means out of the woods just yet. Die Schanzer will be looking to make the most of Hertha's poor start to 2017 – back-to-back defeats – to grab what would be a confidence-boosting victory, and inch a little closer to Bundesliga survival.